We know you're not gritstone, at least literally you're not, but you can still be as tough as a rock in these Danner Men's 14220 Gritstone Black 8-Inch Waterproof EH Work Boots. With this Danner men's footwear, you will get the comfort from Ortholite footbeds, styl ... (see full details) (see specifications) #14220. We know you're not gritstone, at least literally you're not, but you can still be as tough as a rock in these Danner Men's 14220 Gritstone Black 8-Inch Waterproof EH Work Boots. 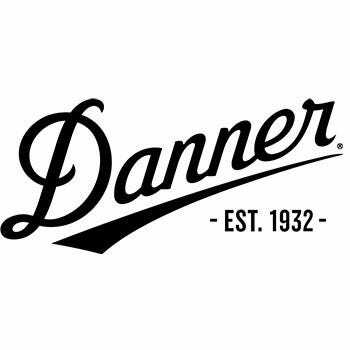 With this Danner men's footwear, you will get the comfort from Ortholite footbeds, style from the leather exteriors with stitchdown construction, and protection from waterproof and electrical hazard coverage you desire out of your new favorite pair of work boots. Crafted with premium, waterproof full-grain leather uppers, these waterproof men's boots are built to withstand the test of time. This leather is also crafted to withstand the wear and tear of the everyday work day. In addition, these Danner boots also featured triple-stitching. This stitching was used to provide you with an exceptional fit and the utmost protection. This waterproof black footwear also features handcrafted, stitchdown construction. This construction is used to equip this Gritstone 8-inch EH footwear with additional strength. They're also constructed with Danner’s premium dry waterproof protection. This protection allows you to handle all of Mother Nature’s mood swings with ease. These are also designed to keep you moving; that's why they only weigh 66 ounces. These black work boots are also constructed with dual-purpose hardware, so you can quickly take them on and off. This makes these perfect for when you're running late. This Danner Gritstone footwear features cushioning ortholite footbeds, so your feet are surrounded in comfort, reducing foot fatigue. In addition, these comfortable leather boots are crafted with the Bi-Fit integrated shank system. This system allows increased rigidity in the arch area, as well as exceptional flexibility in the front. These 8-inch Gritstone boots are designed with Vibram Olympia oil-and-slip-resistant outsoles. These outsoles are crafted to provide with you with superior traction and debris release - so you can stay on your feet and on the go. Last, but not least, these work boots feature electrical hazard protection ASTM F2892-11 EH. This protection allows you to work around some open circuits and wires with a layer of protection from Danner. This makes these the perfect Gritstone footwear for any electrician or construction worker. So order your exceptional Danner Men's 14220 Gritstone Black 8-Inch Waterproof EH Work Boots from Working Person’s Store today. We know you deserve the best, so that's why you need a pair of these premium men's footwear. Your feet will thank you! Danner Boots: Men's 14220 Gritstone Black 8-Inch Waterproof EH Work Boots is being added to your cart.